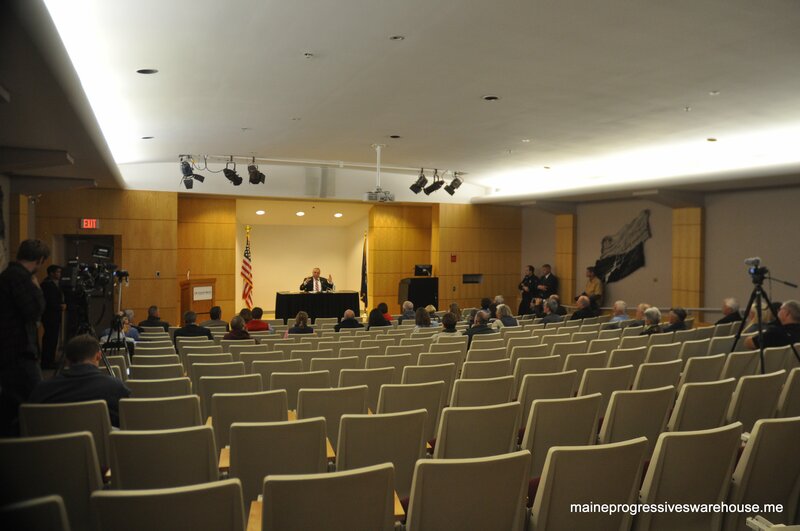 Governor LePage speaks to a sparse crowd at Auburn’s CMCC, 10/21/15. 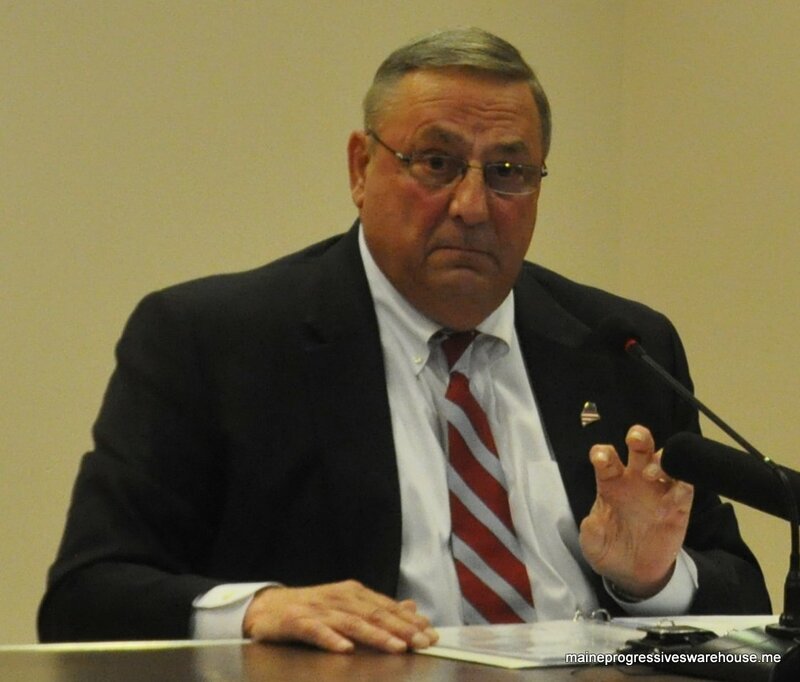 Governor Paul R. LePage has announced he will hold his next town hall meeting on Wednesday, October 21 in Auburn where he will deliver remarks about moving Maine forward and answer questions from residents. Central Maine Community College in Auburn will host the town hall from 6:00 p.m. to 7:00 p.m. The meeting is open to the public and will be held in Kirk Hall. The town hall meeting will focus on the Governor’s vision for Maine, including further reducing the income tax; reforming welfare by strengthening the State’s safety net for the most vulnerable; cutting energy costs; and addressing Maine’s high student debt burden. Here is video of the entire discussion. Some of the news stories with reactions are linked below. No word as to when the governor next intends to hold another town hall meeting; per his staff, LePage is travelling overseas next week.